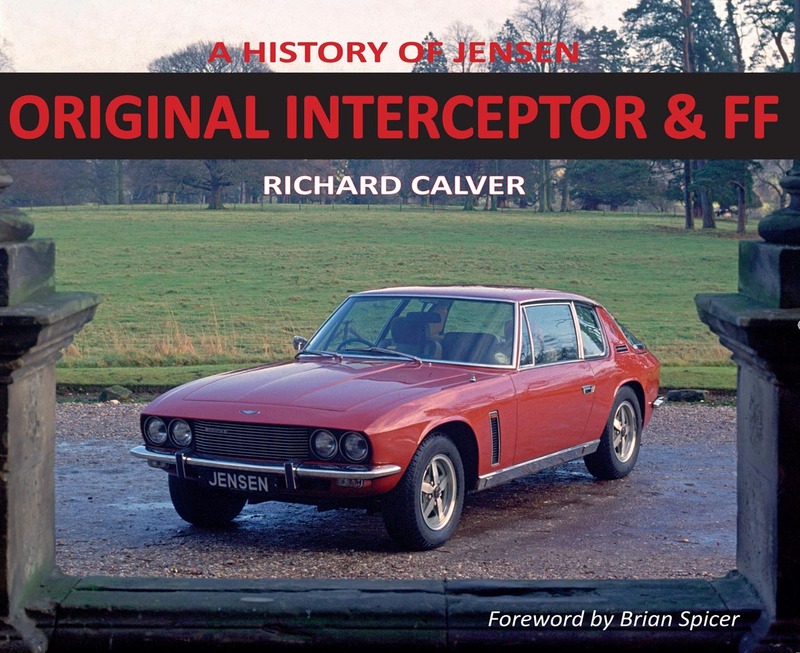 My fourth book in the continuing History of Jensen series was released at Australia's premier classic car show, Motorclassica, in Melbourne on 25 October 2015. 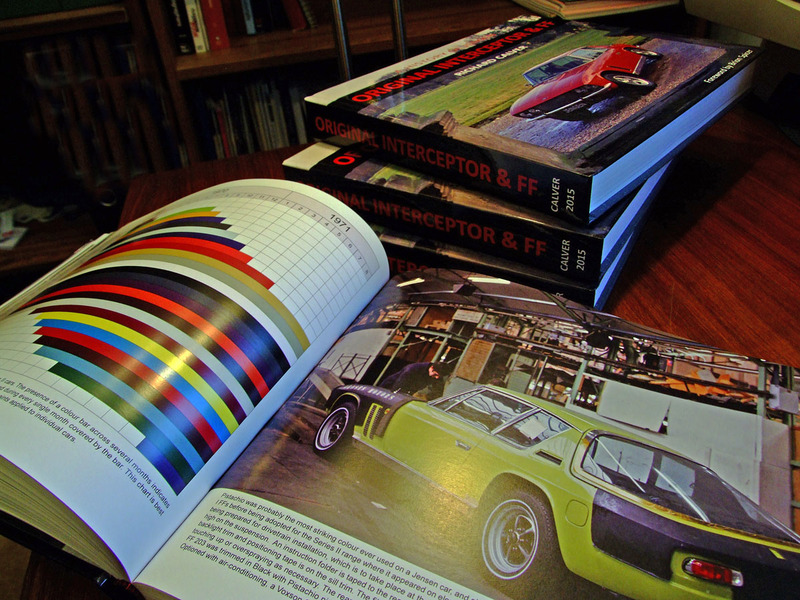 This is the world's first reference book on the original features in the Interceptor and FF models, describing and illustrating the key production changes during the years these cars were in manufacture. As with earlier volumes in the series, this latest offering is a lovely production which will make a valuable and enjoyable addition to any motoring enthusiast's library. 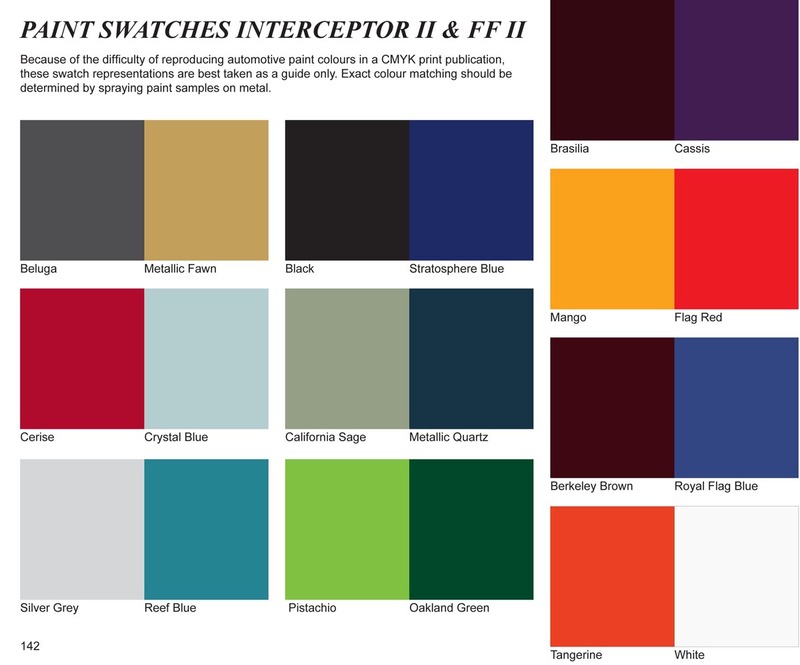 Contents-wise, Original Interceptor & FF provides a comprehensive reference to the features and changes found in the Series I, Series II, Series III and S4 models during the period 1966 to 1992. It is not only a highly readable book but also a lavishly illustrated one which can be studied in its entirety or dipped into in sections. 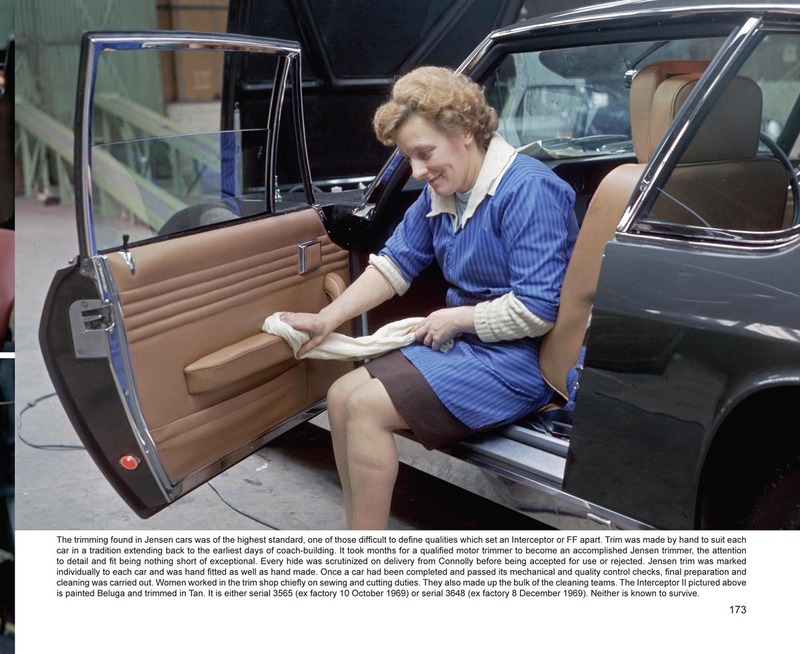 The text runs to more than 100,000 words and there are some 500 photographs depicting the cars when they were new and showing the detail changes throughout production. This is in addition to numerous charts, graphs and tables which spell out the factual basis on which the changes are documented. The book comes in a shortened A4 landscape format (260 x 210mm) and runs to 384 pages. 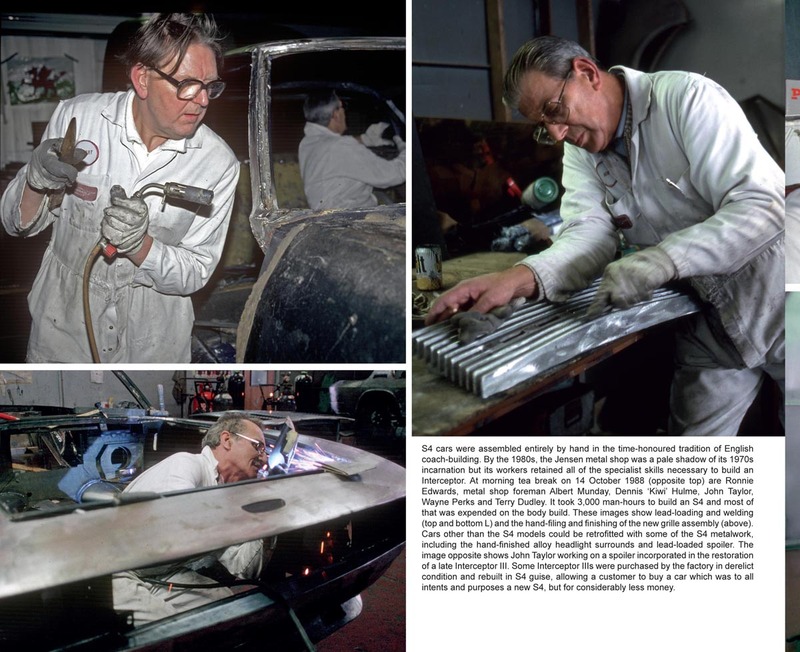 Brian Spicer, Jensen's Chief Development Engineer from 1966 to 1976, kindly agreed to write the foreword. I have had the pleasure of meeting and interviewing Brian on several occasions over the years and I am honoured that he agreed to participate in this project. 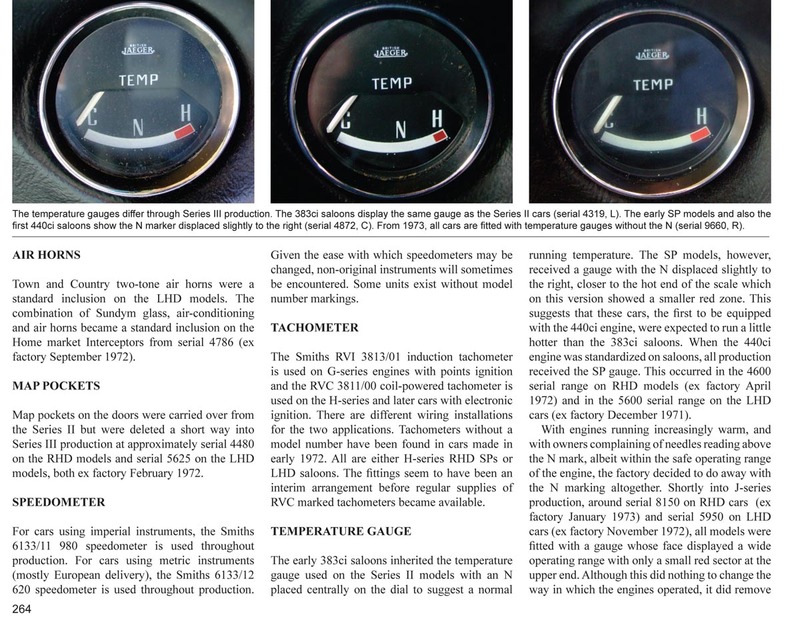 One of the problems in producing original Jensen history material is finding reliable information. Most of the engineering records which latter-day enthusiasts would love to get their hands on were lost during the liquidation in 1976, so a great deal of empirical work has had to be carried out in order to narrow down the production changes and check the findings against what does survive in the written record. I have been working on this for the past five years and it has not been an easy job. In fact, it was probably the hardest of all the books for me to write. Originality in Jensens has never been treated as a subject in its own right, until now. This is because the subject is intrinsically difficult to research. 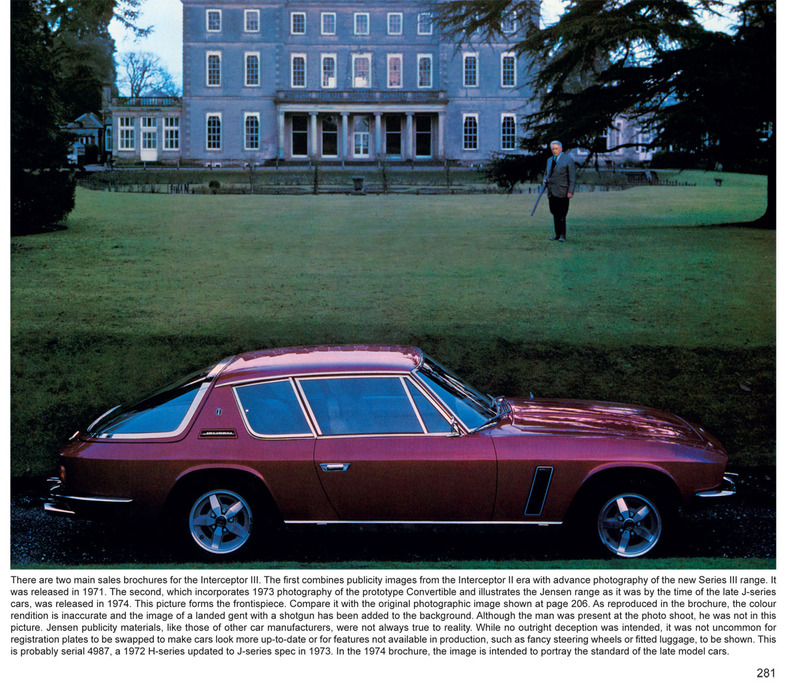 Jensens, for some reason, seem to have attracted more than the normal share of attention from the hot-rodders and go-faster types whose interest in originality is either limited or non-existent. As time goes by, it gets harder and harder to restore cars correctly because even the knowledge of what is correct is being lost. I hope this book goes some way towards redressing that trend. 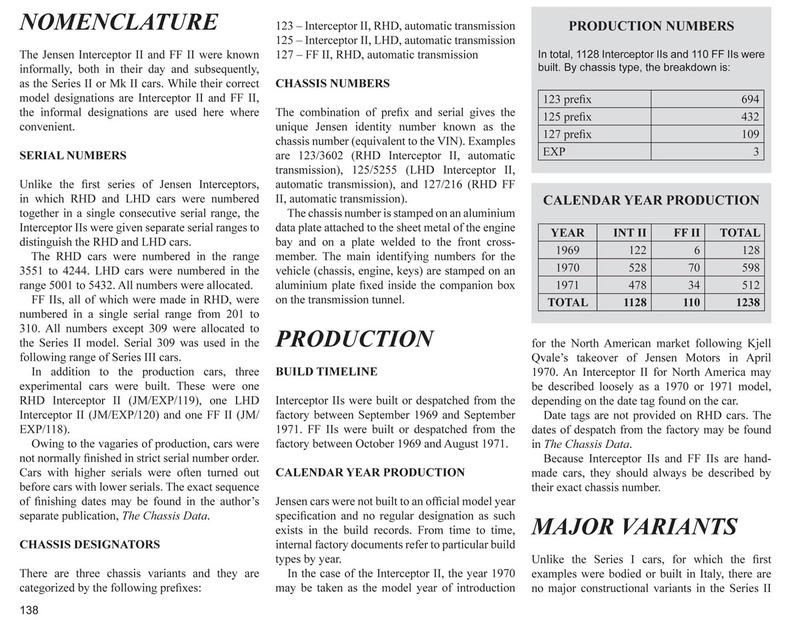 For those wishing to catch up and own the last three identically numbered Jensen books, namely The Service Bulletins, All The Models and Original Interceptor & FF, see the list of suppliers or go here to check pricing on a single copy of Original Interceptor & FF. There's a vast amount of information in this book and the pages above are just a sample of what to expect. All I can say is, I hope you enjoy it as much as I have enjoyed putting it together.